Ep 30 – Rhonda Schlangen talks about a paper we have written together and has just been published: No Royal Road. It explores the tension at the heart of advocacy, and advocacy evaluation, between wanting clear answers and the inherent uncertainties around how social and political change really happens. 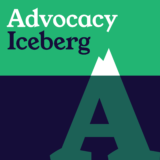 Recognising this tension, we set out some ideas around planning and evaluating advocacy that accommodate the fact that social change is typically uncertain and unpredictable. I appreciated this relatively short but still thoughtful set of summaries of the report (which I am still reading). I will offer a few comments on the report after having finished digesting it. But not from a place of as much expertise as the two of you have though -rather, from the perspective of somebody who is keen to learn from the two of you!